Going from the youngest female self-made billionaire in the world to being charged with engaging in schemes to defraud investors is a pretty spectacular fall from grace but that’s the fate of Elizabeth Holmes. 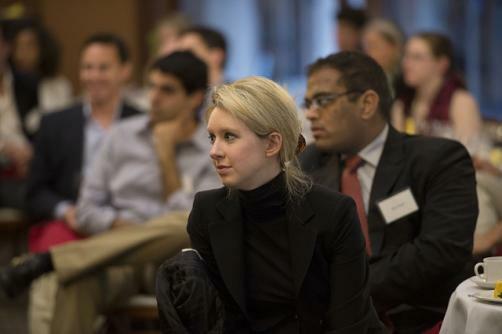 Once feted as the second-coming of Steve Jobs, Holmes had surged to fame as her company, Theranos, claimed to have developed a device that could analyse for a broad spectrum of diseases through just a pinprick of blood. However, the device never proved to be as effective or as quick at producing results as the company claimed and now the US Attorney in San Francisco is alleging that Holmes and the company’s ex-president, Ramesh Balwani, engaged in wire fraud. Shortly prior to this revelation, it was announced by Theranos that Holmes would be stepping down from her position as CEO, being replaced by David Taylor; however, she will retain her position as chairman of the board. Both Holmes and Balwani posted $500,000 bail, while Balwani publically denied the charges against him, with his lawyer, Jeffrey Coopersmith, releasing a statement reading: “Mr. Balwani looks forward to trial because he did not defraud anyone, and it will be an honour to defend him vigorously”. Holmes’ team has not yet commented on the charges. The former couple are charged with raising huge sums of investment and lying about the capabilities of the blood analyser, as well as mispresenting the forecasted revenue of the company and its contracts. In particular, it stated that the company would generate $1 billion in revenues by 2015, despite being in possession of figures that indicated the company would only bring in a small amount of revenue. It also stated that its devices were being deployed in the battlefield, due to a contract with US Department of Defense – in reality, the device was not being used by the military. Whilst it was worked hard to build up investment in the company, which saw it achieve a peak valuation of $9 billion, it was burning through cash – using $600 million of investors’ cash to try develop the product to a functioning level and to pay for 800-strong team that worked for the company. Both of the accused could face up to 20 years in prison if they are found guilty of the charges.